For nearly 50 years, Greenpeace has been sailing the world's oceans protecting our planet and fighting for environmental justice. 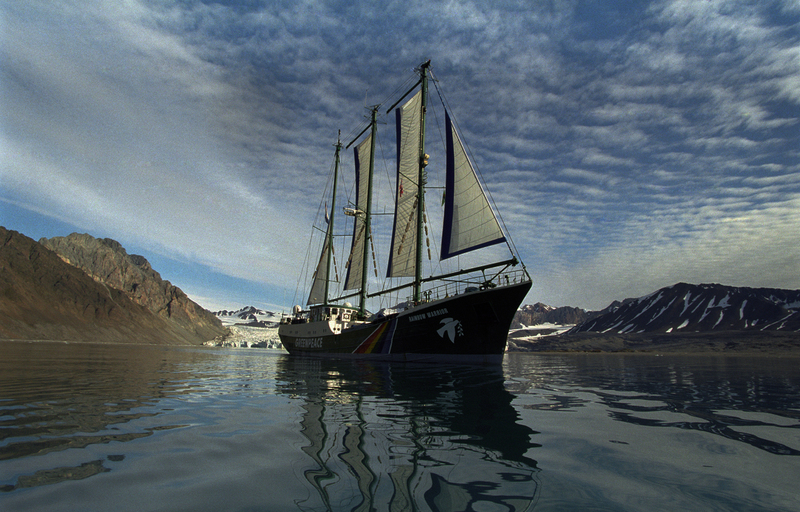 From obstructing nuclear tests in the Pacific, to documenting plastics in our oceans; from conducting research into the effects of climate change in the Arctic, to stopping shiploads of illegal timber leaving the Amazon; from bringing humanitarian relief to communities devastated by extreme weather to collaborating with local authorities to arrest illegal fishing operations in West Africa – our ships are fundamental to Greenpeace campaigns. Designed as an icebreaker, the Arctic Sunrise has witnessed the wonders of the coldest places on Earth. The Arctic Sunrise has been part of the Greenpeace fleet since 1995 when she took her first trip to the North Sea to document marine pollution by oil from offshore installations. Since then, she has been all over the planet, including the Congo, the Amazon and most recently to a three-month expedition to the Antarctic to conduct scientific research on biodiversity in the region. The largest and swiftest vessel in our fleet, the Esperanza is a formidable force for good. A former Russian fire-fighting vessel, Esperanza has spent the last 15 years fighting environmental emergencies for Greenpeace. From disrupting illegal fishing off the coast of Sierra Leone, to thwarting Japanese attempts to pursue its so-called ‘scientific’ whaling programme, the Esperanza works tirelessly to protect our oceans and vulnerable marine life. The Rainbow Warrior is an undisputed icon. Synonymous with breaking boundaries and fearless campaigning, the Rainbow Warrior has patrolled the world’s oceans since 1978. Her exterior beauty hides a heart of steel. She helped end nuclear testing in the Pacific, blocked coal ports and closed down destructive fishing operations.She remains to this day a symbol of non-violent direct action and a beacon of hope for struggling communities around the world. In November 2017, she arrived on the western shores of India for this symbolic connection to be made. She was here to draw the attention of people towards the devastating consequences of changing weather patterns as a result of climate change and the solutions that exist. Despite much apathy and lack of action among many, she created foreground for local heros who had risen to the challenge. Thus she became a vehicle bringing together an international icon and local actors in the global battle against climate change.